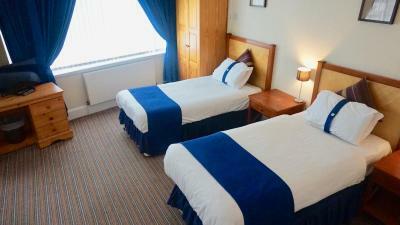 Lock in a great price for Stalbridge Guest House – rated 8.4 by recent guests! Great facilities. Amazing value for money. Very friendly staff. 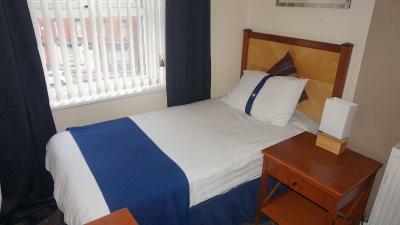 The owner was very friendly and helpful, the room was very clean and tidy, TV with lots of channels, nice looking bathroom, comfortable bed, also the location is great: opposite Asda and 8 min drive to the airport, there's also a shared kitchen in the property- full equipped so guests can prepare meals or just simply warm it up in the microwave. It was just a short taxi ride from the airport. If you are arriving after check-in closes you just need to contact the hotel after booking, which we did - and they gave us the instructions on late check-in procedure. We had everything we needed for a restful night's stay, and next morning were able to get a bus just down the street into the centre of Liverpool for our onward journey. Just a lovely all around pit stop on the way to the airport. Excellent customer service from start to finish. I would never go anywhere else. This hotel is perfectly situated. 10 minute drive from my partners work jaguar land rover Halewood and only £8 for a taxi into town. 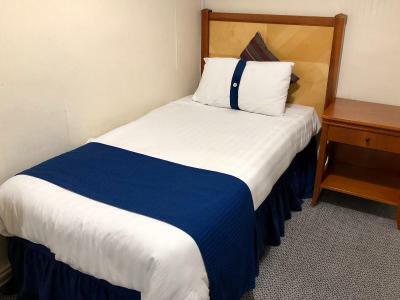 Rooms are very spacious and comfortable, not to mention how immaculately clean every where is from the bedrooms, to the communal areas, toilets, shower rooms, and Kitchen. The most amazing part of my stay each and every time is the host/owner...so friendly and welcoming, gives plenty of information about local area from nearest pubs and restaurants to local tourist attractions. Would recommend this guest house to absolutely anybody. Thank you for such a wonderful stay. Chris is a kind man who was very willing to help make our stay as comfortable as possible. 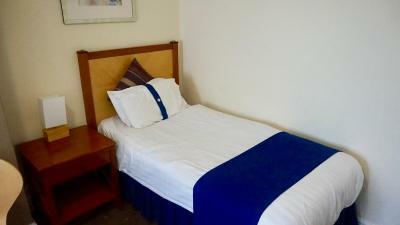 The location of the property is very close to the airport which was great for our travel needs. So friendly and helpful. They went out of their way to help us when we were headed to the airport the next morning. For all this is a no frills guest house, it's a cozy place and first rate welcome. The proprietor is helpful and able to advise on local travel, eating and activities. , They go the extra mile or three to make people comfortable. 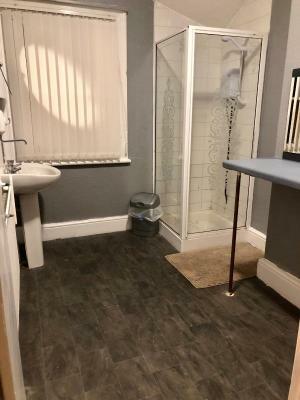 Stalbridge Guest House This rating is a reflection of how the property compares to the industry standard when it comes to price, facilities and services available. It's based on a self-evaluation by the property. Use this rating to help choose your stay! One of our best sellers in Liverpool! 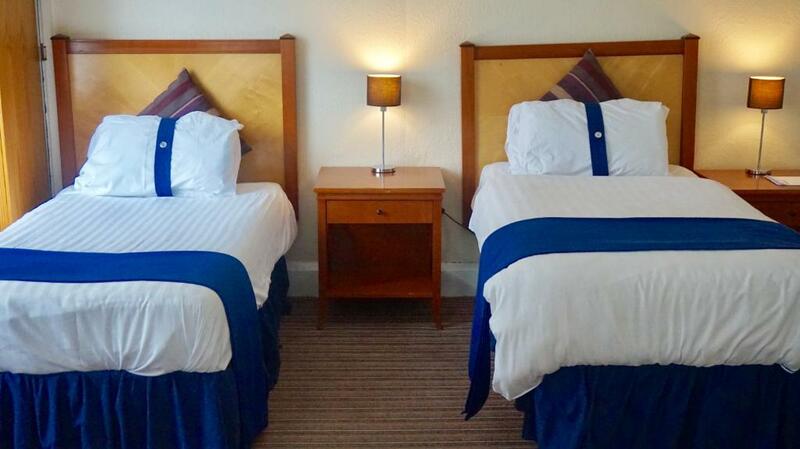 Located just 5 miles from Liverpool city center, the family-run Stalbridge Guest House features free Wi-Fi and a self-catering diner. The house is an 8-minute drive from Liverpool John Lennon Airport. The rooms at the Stalbridge offer a Freeview TV and tea and coffee making facilities, along with a shared or en suite shower room. In the mornings, guests are free to make use of a shared kitchen, which includes a fridge, and microwave, along with a kettle, toaster, and kitchen utensils. Please note that this facility has limited hours at weekends. Several supermarkets can be found within a 10-minute walk of the house. 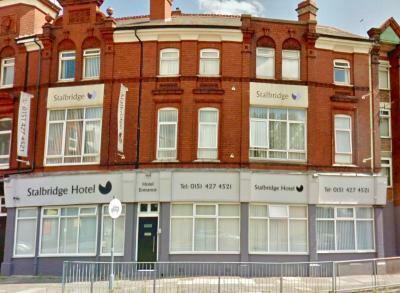 The Stalbridge Guest House is just 12 minutes’ walk from Liverpool South Parkway and is ideally located close to Gaston Bus Station, with services to and from Liverpool’s lively city center. Liverpool is home to the Anfield Football Stadium and Everton Football Club, each just a 20-minute drive away. 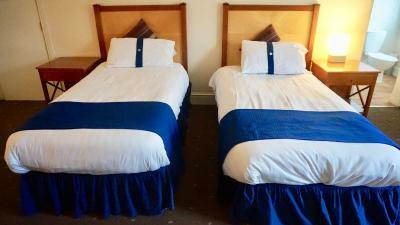 When would you like to stay at Stalbridge Guest House? This room features a private bathroom with a shower and features free Wi-Fi, a Freeview cable TV, and tea and coffee-making facilities. 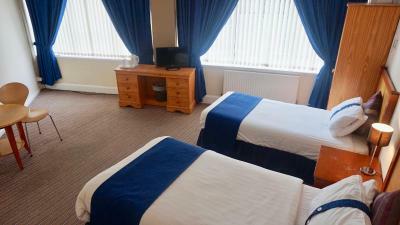 This room has free Wi-Fi, a Freeview cable TV, and tea and coffee-making facilities. The separate bathroom facilities are shared. House Rules Stalbridge Guest House takes special requests – add in the next step! Stalbridge Guest House accepts these cards and reserves the right to temporarily hold an amount prior to arrival. Please be aware that the shared kitchen facilities are not available from 08:00 on Fridays to 13:00 on Sundays. Please note the reception is not manned at all times and guests are kindly requested to inform the property of their estimated time of arrival. This can be noted in the Special Requests box during booking or by contacting the property using the contact details found on the booking confirmation. Late check in needs to be confirmed directly with the hotel staff. Strictly no check-ins after 20:00. Please note that towels come at an extra GBP 1 cost. 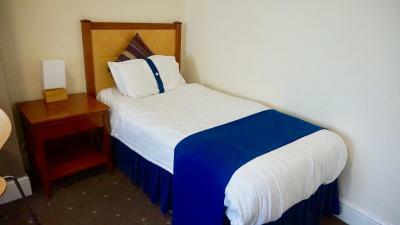 Please inform Stalbridge Guest House of your expected arrival time in advance. You can use the Special Requests box when booking, or contact the property directly using the contact details in your confirmation. The room was located on the ground floor, close to a non-stop busy street. There was noise from the street and sidewalk as well as people talking on the main doors. Very low standards of shared bathrooms. Location of the object, very close to the airport. Excellent value for money. Owner/manager was very polite and helpful. Rooms were also very spacious. Thank you for our stay. The owner was extremely friendly and very helpful. Extremely helpful and friendly staff, gave us lots of travel info and places to explore around the area. Management was great, friendly and helpful. 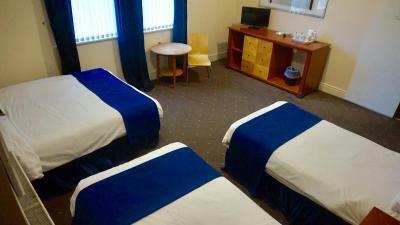 Room was clean, tidy and perfect for our over night stay. Chris was very friendly. Very helpful. Nothing was too much trouble for him. Chris was an excellent host, room was big and very comfortable. Wasn’t sure where to park, luckily there was space in the side street next to the property. So didn’t have to far to carry luggage with the children. Was very tidy and clean. Good taxi calling system. Plenty of shops and takeaways in walking distance if needed.